That might look like Super Mario Maker—but it’s not. 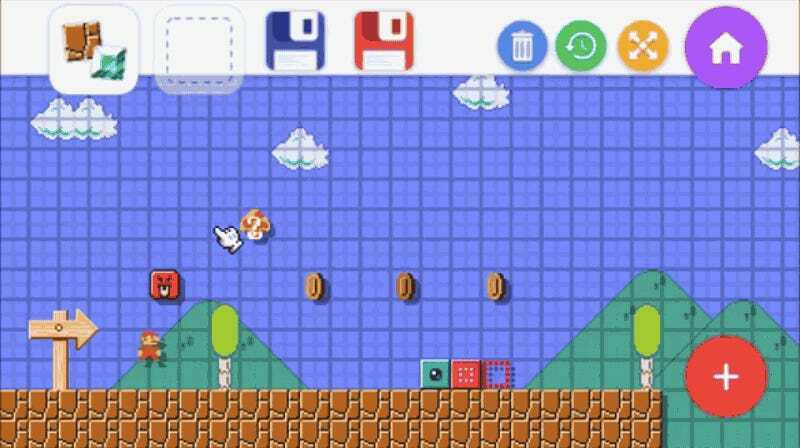 It’s Super Mario ReMaker, a fan-made project that hopes to bring Nintendo’s creation tool over to the PC with a bunch of new additions. Nintendo is a company in the business of selling its own hardware. They haven’t released Super Mario Maker for 3DS, let alone a platform like the PC. Though Super Mario Maker would be super rad on PC, let’s be realistic: it won’t happen. But in such a vacuum, fans pick up the slack. Super Mario ReMaker has been kicking around for a little while now, but the creator finally released a playable demo. Though the interface is rough and tough to navigate, it definitely works. Of course, polish is the whole reason Nintendo’s tool works as well as it does, but Super Mario ReMaker is already working off an excellent template. I mean, the demo’s even capable of speeding up the music as you dump blocks onto the screen! It’s a charming touch in a the real game and remains one here. One thing Super Mario ReMaker hopes to address is adding features missing from Super Mario Maker, whether it’s new themes—desert, nighttime—or elements from other Mario games, such as The Lost Levels, Super Mario Bros. Deluxe, etc. The real question is: how long will Nintendo let this kick around? It’s unclear. When you boot up Super Mario ReMaker, it does ask you to support Nintendo. In the future, the developer hopes to add the long-request slopes, the ability to package levels together as worlds, and more. As a demo, Super Mario ReMaker is pretty impressive, but all the Mario content is probably going to get the project into trouble. My advice? Ditch Nintendo’s art and use this as an opportunity let people go wild with creating new platformers. Or, uh, Nintendo could port Super Mario Maker to PC? Pretty please?